As dog owners, we primarily evaluate the dizzying myriad of dog treats on two primary factors: Are the ingredients good? And does my dog like it? The answer to both questions for the Big Heart Beef Jerky Dog Treats is a resounding yes! 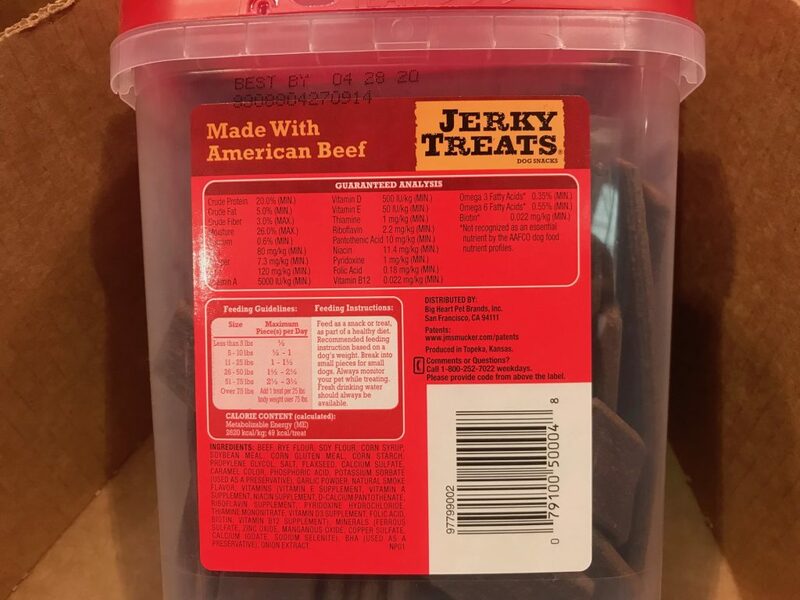 These jerky treats have American beef as the first ingredient and is produced in Topeka, Kansas. It’s a great source of protein for your dog. 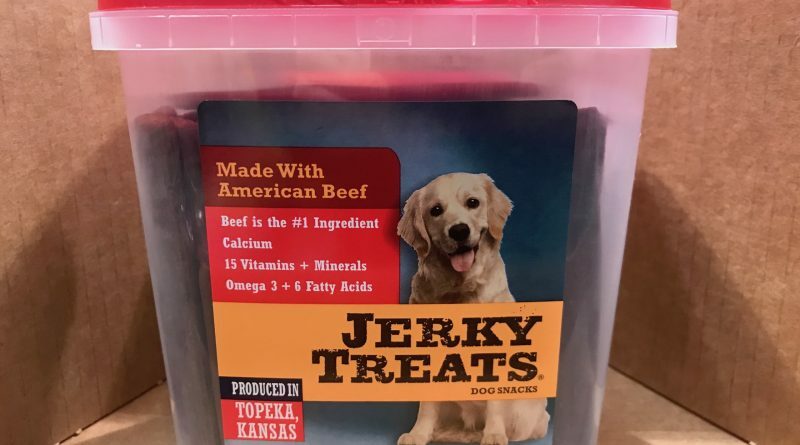 This jerky treat also contains good vitamins and minerals for a healthy yet irresistible taste. 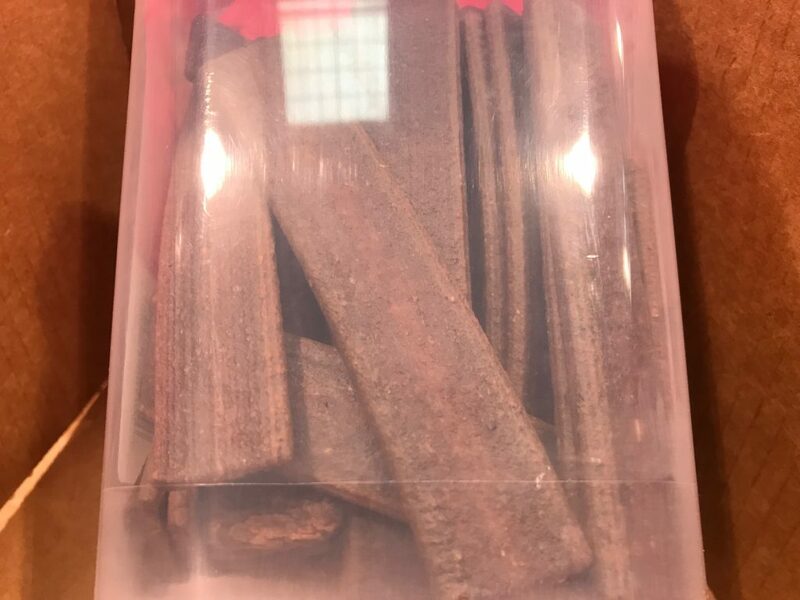 The jerky themselves are in a long rectangular stripe that is easy to break off into smaller pieces or cut into bite chunks. 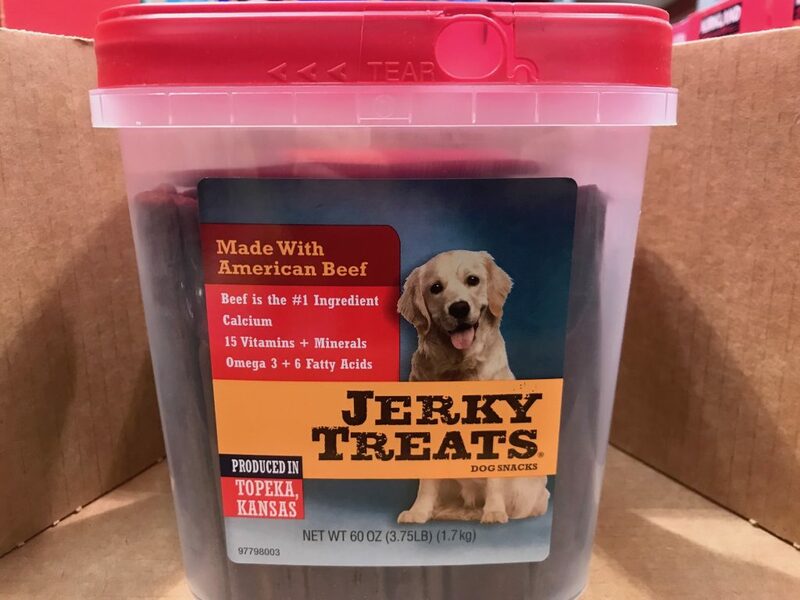 The beef jerky dog treat container itself reminds me of one of those Tide pods laundry detergent containers. Which isn’t a bad thing! The resealable top cap allows the beef jerky strips inside to stay fresh away from air pocket leaks. This is important because it’s taking us quite a while to work through all the strips inside this container. Such a great value for an important member of your family! By Big Heart Pet brands. Contains calcium and over 15 vitamins and minerals. Includes omega 3 and 6 fatty acids for your dog’s health. Ingredients: Beef. Rye flour. Soy flour. Corn syrup. Soybean meal. Corn gluten meal. Corn starch. Propylene glycol. Salt. Flaxeed. Calcium sulfate. Caramel color. Phosphoric acid. Potassium sorbate (as a preservative). Garlic powder. Natural smoke flavor. Vitamins (vitamin E and A supplement, niacin supplement, d-calcium phantothenate, riboflavin supplement, pyridoxine hydrochloride, thiamine mononitrate, vitamin D3 supplement, folic acid, biotin, vitamin B12 supplement). Minerals (ferrous sulfate, zinc oxide, manganous oxide, copper sulfate, calcium iodate, sodium selenite). BHA (as a preservative). Onion extract. 20% minimum on crude protein. This is relevant because the jerky itself actually isn’t too dry. Which is great for breaking it into smaller bite sized pieces for obedience training. Includes a small amount of biotin but the AAFCO does not recognize this as an essential nutrient. I have a 7 month puppy and trying to find a good but economical treat has been a challenge. There has been many wide-eyed expenditures ranging from Kong chew toys to expensive heart worm medication and vet check-ups. All in all, I want something good for my dog but also friendly to my wallet for sustainability. The story takes a turn when I saw these beef jerky treats at Costco. At first I actually decided this wouldn’t be a good fit for my puppy. The treats themselves look very long and I assumed it wouldn’t be age-appropriate for him. On a later visit, I still decided to give it a try, confident that Costco’s friendly return policy would have my back if this decision turns for the worse. I felt reassured after opening the sturdy and resealable container. It all worked like a charm and I am happy to feed a good snack to my puppy who loves it as well. These are soft and aromatic dog jerky that caught my dog’s attention quite immediately. It’s easy to tear or break them into pieces. I started fitting a segment of the jerky into a classic Kong chew toy. My dog really took on the challenge and spent considerable time trying to get the beef jerky lodged in the hole. Eventually, I started to cut them methodically into small bite chunks for puppy training. Looking to Purchase Big Heart Beef Jerky Dog Treats?